It’s 11 a.m. I’m rushing to my first class, Philosophy. I sit down, take a deep breath and approach the guy next to me. Welcome to the life of an EMU student-athlete. That is if you enjoy waking up before sunrise to begin working out in cold water while your body screams in pain, your mind stresses about deadlines and you hear about another student’s morning nap. Morning practice: Wake up is 5:13 a.m. You got to get to the bathroom before your roommates do, get dressed, eat quickly and get to practice. Did you ever wonder just how cold water is at 6 a.m.? Did you ever smell a weight room first thing in the morning? Student-athletes know the value of morning practices and all of the sacrifices we make every day. Switch status: Practice is over. Time for a shower and class. Sometimes, it’s hard to stay wide awake and focused through morning classes. Student-athletes must master time management skills because, for us, it appears there are more than 24 hours in a day. At least that’s how it feels. Hold your breath: It’s time for second practice. It’s all part of your commitment to yourself, your university and your team. Whether it’s lifting or technique work, aerobic or power, you have to be at your best. You endure two more hours of intense exercise. When you’re done, you stretch your muscles and go to the trainer’s room where there is a bucket of ice to take away the strain. Homework: Evening is time to study, write papers and reports, and exercise. You walk to the library to complete study tables or visit the University Writing Center. Bedtime: It’s time to organize your backpack for tomorrow, get into that fuzzy pajama and set your alarm for 5:13 a.m. Now it’s almost 9 p.m. and you need those hours of sleep. The most important gift you can give your body is recovery. Your brain will appreciate it, too. 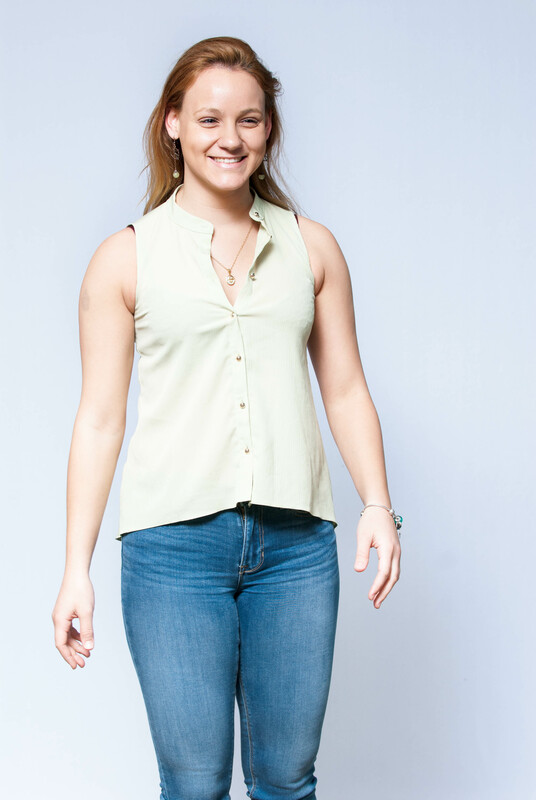 Michal Liberman is an EMU swimmer and junior majoring in public relations. She is from Israel, works part time in the EMU Division of Communications and is featured in EMU’s #YouAreWelcomeHere banner campaign.